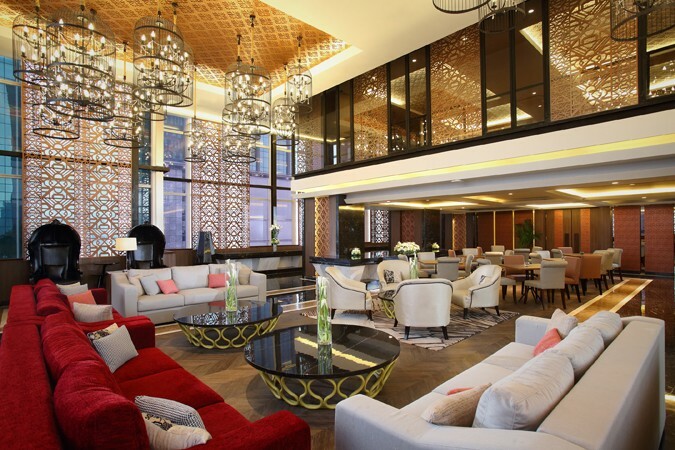 Located on the 6TH floor of the Hotel GranDhika Iskandarsyah Jakarta is The Executive Lounge, a colourful and beautifully decorated venue with oriental-inspired wall panels, classy bird cage-style lighting, a high ceiling and plenty of comfortable seating areas, from sofas to tables and chairs. This versatile space is ideal for private events, parties, social and business gatherings. 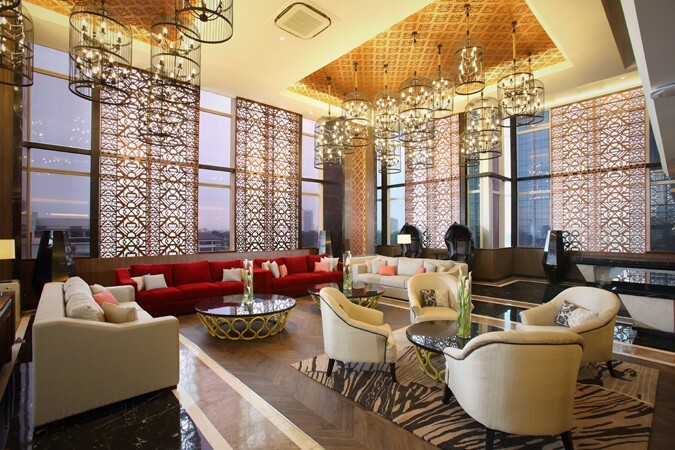 The elegant ambience makes it the perfect place to relax in a tranquil atmosphere and enjoy a tasty light meal. The Executive Lounge benefits from its location by the hotel pool, allowing guests to relax outdoors in the fresh air if they choose. 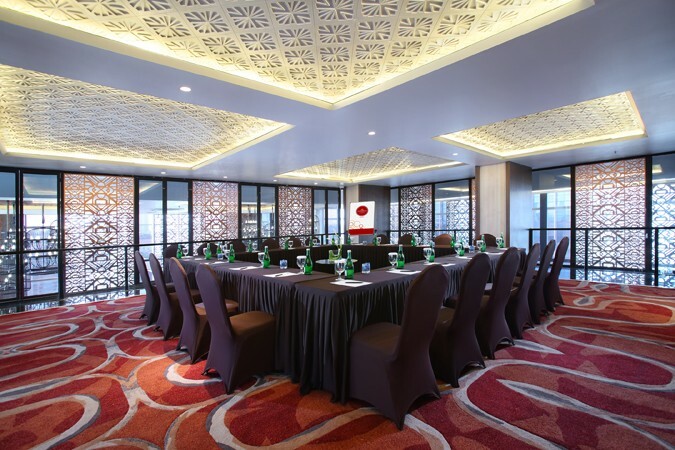 It is also connected to a private meeting room on the floor above, thus, with the Executive Lounge’s seating capacity for 80 people and a private meeting room for 25 people, it can easily accommodate guests’ business needs.